Open Access is the immediate, online, free, irrevocable, worldwide, right of access to research output in full text, with a license to copy, use, distribute, transmit and display the work publicly and to make and distribute derivative works, in any digital medium for any responsible purpose, subject to proper attribution of authorship. 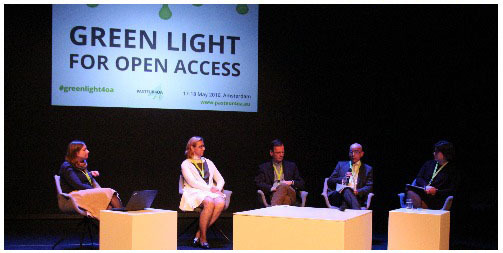 The Open Access Project strives to make publications resulting from research, financed by BELSPO, available on line for free. The project comprises the creation of an Institutional Open Access Repository, the developing of policies to that effect, consulting with national and international stakeholders, representing Belgium in dedicated EU and other working groups and reporting about Belgian Open Access.